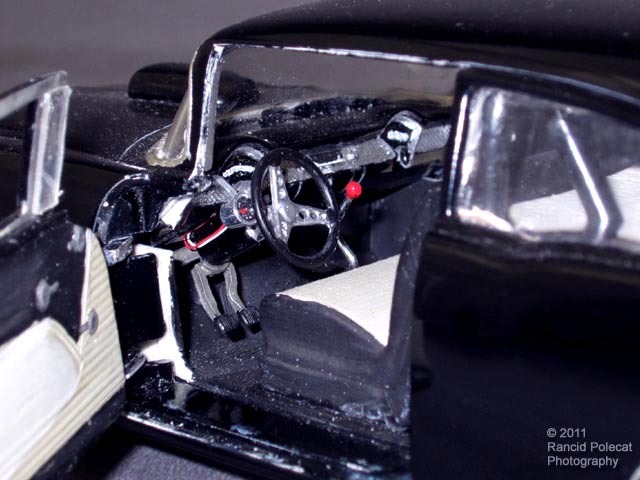 Inside the dash is hilighted with Testor's Model Master Chrome paint. The cover over the rear seat area is made from a thin sheet of detailing leather Steven found in an old model car accessory kit from the 1960s. The trunk is detailed with spatter paint decals from Scale Motorsports.